Z-CARD pocket maps are a great alternative to a full size map! They are convenient and durable… you can take them anywhere and everywhere you go! Whether you are looking for traditional street mapping or a custom map design, we supply mapping solutions to fit all budgets and campaigns. Our graphic designers will work closely with you to make sure every detail is handled clearly and precisely. We offer city-level maps with light customization and edits as needed. We produce Z-CARD pocket maps for a variety of transit systems, including NY MTA, CTA, BART, Washington Metro, and LA MTA. The pocket maps we provide are fully scalable to accommodate print runs and reproductions of all sizes. Volume discounts are available on larger brochure printing and licensee fees are dependent on map selections. We offer a variety of maps for use/license. City level maps are available with light personalization and edits as required. License fees are dependent on map selections. 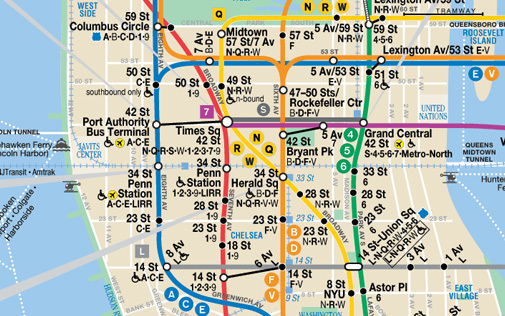 We also offer a variety of Transit System maps, including NY MTA, CTA, BART, Washington, and LA MTA. Z-CARD®s North America offers numerous custom cartography solutions to our clients, via our firm’s relationship with mapformation,LLC, a custom cartography firm headquartered in Springfield, Minnesota, USA which develops city/area maps, campus maps, and building interior diagram solutions for print, signage, and electronic media. Z-CARD®s will work with mapformation to ensure that your custom map design projects are developed on-time, on-budget and on-spec, and that your maps will also be available for you to use in other online and signage applications (in addition to our array of innovative print solutions).